Power: Why we love it, how to distribute it in a seamless, quiet and relaxing way. We wish. PEP I, Session 4 is about misbehavior and new ways to think about it, respond to it and deal with it. Our class spent 75 percent of the time grappling with the perennial parent-child power struggle. Here’s a partial list of what we talked about. We know when we are in a power struggle when the struggle is repeated, we feel angry and we want to make someone do something. Power struggles are a natural part of people living with people. We don’t have to take them as a personal affront to our parenting skills and success. 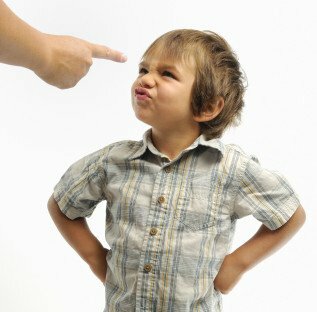 Children in power struggles often live with people who enjoy power and control (hate to break this to you, but it’s easier to change the situation when you know who to start with). If we are committed to winning a power struggle, that makes our child a loser. Consistent losers don’t generally have lots of courage to try new things, contribute or cooperate. Think about it. Almost all our power struggles can be sidestepped. Barring real, imminent health or safety concerns, the subject can be shelved until we, and our child, are calm. (And, people, we mean REAL health and safety). Sidestepping a power struggle, or backing out in the moment, takes Herculean effort. Our self-talk must change. This takes practice, practice, practice, and we have to be OK with failing a LOT until we get the hang of it. Luckily, kids are designed to give us endless opportunities to practice sidestepping a power struggle. Sidestepping a power struggle does NOT mean giving in. This is a tangly knot for all of us parents, and we need time and effort to grapple with the distinction. Our connection and relationship with our child is way more important than any topic (teeth brushing, fashion, eating, picking up rooms, etc.). If we keep the connection, we are in better shape. I leave you now, at the end of this list, unsatisfied, unresolved, wanting more, asking questions. Just how our class left last Wednesday morning. We never said this was EASY and simple! Note: The spring PEP I classes start April 15 and are open for registration here. Sign up by March 17 for PEP I or any other core class at a 20% early bird discount. Core classes for parents of preschoolers or teens will be on the schedule soon!